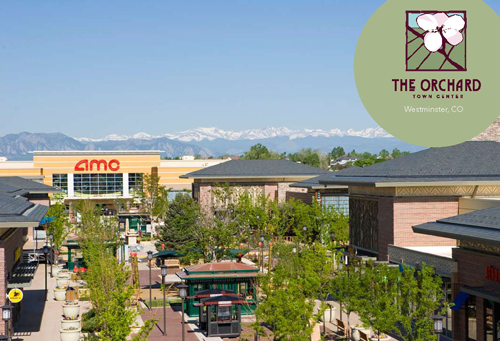 The Laramie Company has been retained by The Colorado Rockies Baseball Club to lease approximately 75,000 square feet of restaurant and retail space in McGregor Square. 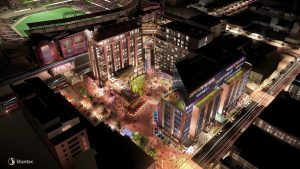 Located adjacent to Coors Field, McGregor Square is the last full city block to be developed in Downtown Denver and will include a mix of high-end retail, high rise office, for sale residential, a boutique hotel and an interactive Colorado Rockies Hall of Fame experience. Combining a data driven, analytical approach with the owner’s vision for the project, Laramie is implementing a leasing plan to curate the optimal mix of tenants for the project who will appeal to the Colorado baseball fan, visitors to Denver and the entire Metro Denver community. McGregor Square is scheduled to open prior to Rockies Opening Day in 2021. From beginning to end, the Laramie Company has led the redevelopment of the former Westminster Mall site into Downtown Westminster. Laramie worked with the City of Westminster to assemble the site through four separate land transactions, amassing over 100 acres of land. Simultaneously, Laramie conducted the preliminary market study and consulted with the city on their long-term vision for a true downtown in Westminster. This resulted in a 28-block site that being developed on a block-by-block basis by multiple developers. The first phase includes over 1 million square feet of mixed-use development, including 600 multi-family units, a 125-room boutique hotel, and 150,000 square feet of retail space to include a 10-screen Alamo Draft House Cinema opening in 2019. When complete, Downtown Westminster will house 2,500 residential units, 2 million square feet of office space, and 750,000 square feet of retail. Laramie continues to work with the City in the capacities of a consultant recruiting developers, and as a broker transacting land. Additionally, Laramie has been retained by multiple developers to lease ground floor retail throughout the project. The Downtown Westminster project exemplifies Laramie’s full range of services and expertise to build a vibrant downtown that will revitalize a former regional mall site. 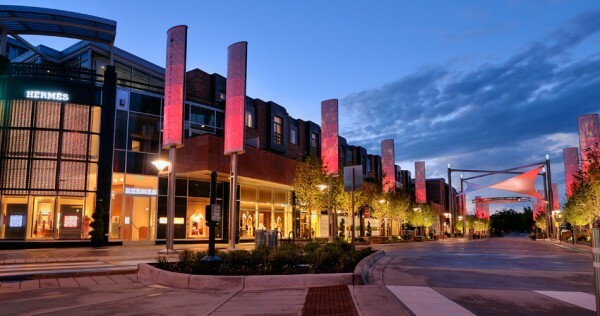 A mixed-use retail/lifestyle development located in the heart of Cherry Creek, The Shops at NorthCreek was an unprecedented project for the city, combining world-class retail tenants and luxury condominiums. Capped off by the very first Hermés store in the United States, every tenant leased for the development was first-to-market, either luxury or lifestyle, including: Loro Piano, Eileen Fisher, Kate Spade New York, and The North Face. The Laramie Company provided design consulting services, tenant mix identification, and project leasing for 3 years. Today, The Shops at North Creek continues to bring the highest rents paid in the Cherry Creek Market. 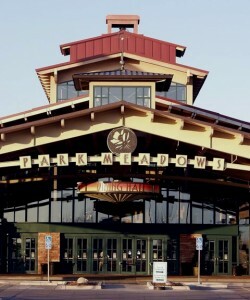 In 2006, The Laramie Company took the lead in negotiating the annexation of Park Meadows Mall from unincorporated Douglas County into the city of Lone Tree. Representing the city, Laramie analyzed short-and-long term economic projections for Park Meadows Mall and, based around this information, negotiated a public/private partnership between the city and this top-performing retail property. This partnership created a win-win situation for both entities, with Lone Tree receiving a significant increase in sales tax revenue, and Park Meadows receiving a reliable source of renewable funding to both maintain and improve the mall infrastructure, making the mall and the city long-term partners in success. The Orchard Town Center in Westminster truly demonstrates the breadth of services the Laramie Company has to offer. Through an extensive market study, Laramie pinpointed a previously unidentified greenfield site with no access as the ideal location for the development. After selecting the site, Laramie assembled the land, chose the developer, attracted the anchor tenants, and negotiated a development & finance agreement to the tune of $85,000,000 in public bond issuance for public infrastructure. After Forest City developed the Orchard Town Center, they brought Laramie on to lease it for 5 years. In that time, Laramie took the project from 50% to 90% leased. Today, the Orchard Town Center remains the single largest sales tax producer for the City of Westminster. One of the most exciting new commercial developments in the Denver metro area, Glendale180 is an innovative, new, outdoor retail/entertainment project. When completed, the center will include a unique blend of retailers, restaurants, bars, and entertainment venues. Unprecedented in Colorado, tenants will have the option to stay open past 2am, and open-carry of alcohol will be allowed in a designated area. For this project, The Laramie Company has worked closely with the City of Glendale, providing project conceptualization, market analysis, tenant leasing, and developer selection services, in addition to taking the lead in securing financing for the undertaking. 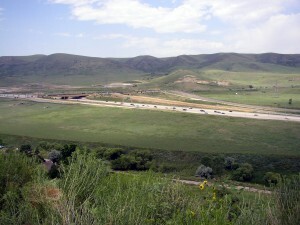 Owned by The Laramie Company in a partnership, the Rooney Valley is comprised of 120 acres of land on the four corners of the C470/Alameda interchange. As part of this partnership, The Laramie Company has developed and implemented the guiding vision for the site. After performing a detailed analysis of the surrounding area, Laramie rezoned the property, dividing it into commercial and retail corners. Having properly positioned the site, we look forward to being a part of a new, capstone development at the base of the foothills.